Mr Stephane Fouks, the Vice President of Havas Worldwide, a front runner in media , public relations and advertising was received in audience by the President of the Republic, Paul Biya at State House last Friday. 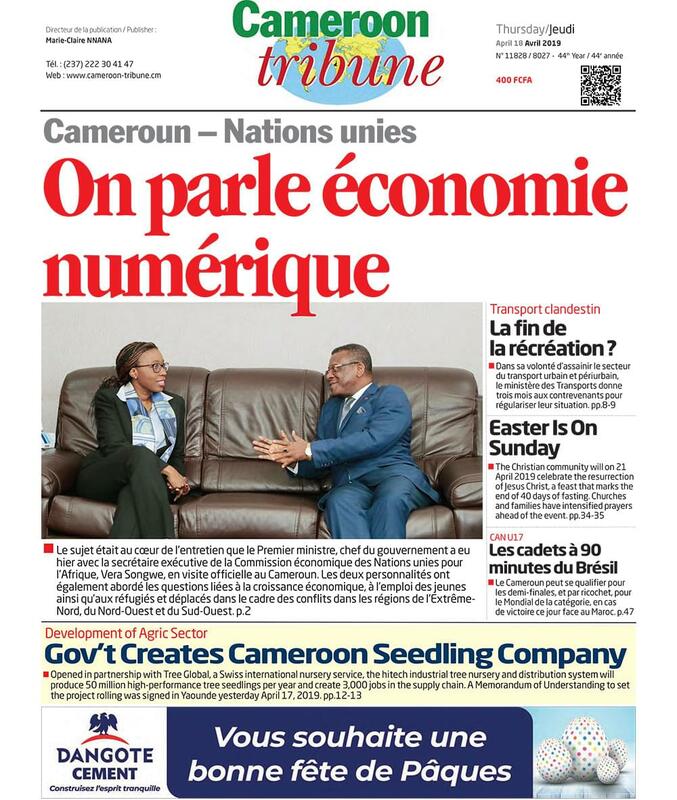 Emerging from the 90-minute exchange with the Head of State, the French media mogul told State House correspondents that he came to ensure a follow up of the conclusions of the international economic conference organized in Cameroon last May under the theme : “Investing in Cameroon, Land of Attractiveness”. Mr Fouks said the President of the Republic was still quite bullish about the prospects of the Yaounde conference and insisted, during their talks, on their need to effectively implement all the resolutions taken at that conference. The conference identified some 24 clear investment possibilities in areas ranging from agro-industries, roads, ports and airport infrastructure to energy, urban development and new information and communication technologies. It also recommended the setting up of special economic zones and facilitation of fiscal and administrative procedures for investors. Mr Fouks praised the management of the economy, highlighting the fact that it had remained resilient in the face of difficulties. He said the country, as a non petroleum producer, had several other winning options for which he had made some suggestions and new ideas which he said only the President could determine when such ideas could be brought forward for consideration. The Frenchman was very upbeat about the government’s decision to invest heavily on the digital economy, citing the numerous start-ups by young Cameroonian digital entrepreneurs. He said the development of ports and transport infrastructures were good signs that the economy was moving in the right direction. Mr Fouks was at State House in September 2015 when he sold the idea of the Yaounde International Economic Conference which, later in May 2016 brought together leaders from the world of politics, diplomacy, finance and industry to explore Cameroon’s investment opportunities by making the country better known in the world. This time, he came with some other new ideas which are still being considered by the President of the Republic.